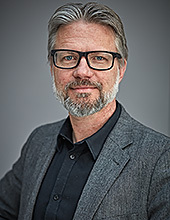 Fredrik Nilsson is an architect and Professor of Architectural Theory at Chalmers, where he leads the strong research environment ‘Architecture in the Making’ in a national collaboration between the Swedish schools of architecture at Chalmers, KTH, LTH and Umeå university. He is also Head of Research in Practice at Älvstranden Utveckling AB. Nilsson’s research is directed to developments in contemporary architecture, architectural theory, architectural methodology and practice, with special interest in the epistemology of architecture and interaction between theory, conceptual thinking and design practice. Important aims are contributions to reinforced exchange between research and architectural practice. Chalmers School of Architecture. Emerging from Strong Profiles and Open Dialogues. The Concept of the "Wheelchair"
Collaboration is not enough! What do architects and designers bring? [ur ett pågående samtal] Om Arkitektur. Andra, omarbetade och utvidgade utgåvan. There might be more projects where Fredrik Nilsson participates, but you have to be logged in as a Chalmers employee to see them.